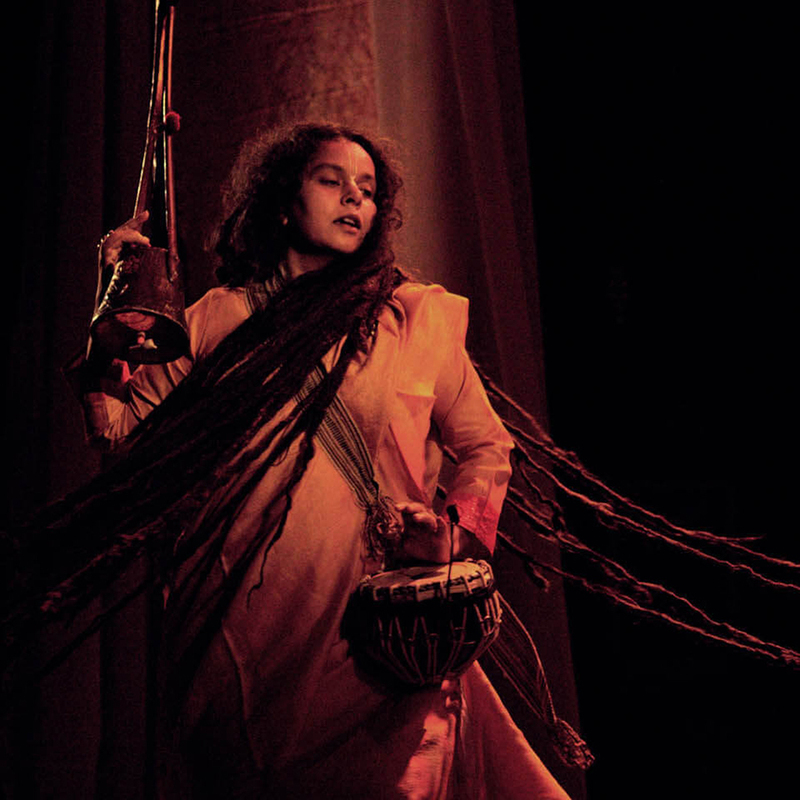 Parvathy Baul is well known for her masterful solo rendering of Baul song and dance in the oldest style. She sings and dances only with minimal use of Baul instruments like Duggie, Ektara and Nupur all played at the same time. She inherited this style from the “Parampara” of ShriSanatan Das Baul of Bankura District. full time role of Baul sadhika. To her credit, she is one of the very few women Baul practitioner. She has performed in the villages of West Bengal, Kerala, Malwa and many of the major music festivals in India, Europe, USA, UK, Switzerland, Japan, Morocco, Singapore, Malaysia, Cuba, Uruguay, Australia, Canada etc.